23 passionate experts are about to sail to the southernmost South African possession, Marion Island, where they will be isolated for thirteen months during the 74th Marion Island expedition. When Admiral Horatio Nelson set sail in the early 1800’s aboard his flagship, the beautiful wooden- walled Victory, he had a crew complement of 850 men. Aboard the Victory were stores that could last for 4 months without the need to revictual, or even to see land. Those stores were not as bad as are often made out in latter day accounts of 19th century seafaring life, but they were rather limited. Packed in the capacious holds of the 104 gunned, first-rate ship of the line were stacks of the three most important ‘b’s in Jack Tar’s life’: beef, biscuits and…beer. Now, in the 21st century, a modern-day epic is about to unfold. 23 passionate experts are about to sail to the southernmost South African possession, Marion Island, where they will be isolated for thirteen months during the 74th Marion Island expedition. The team comprises a variety of dedicated individuals, ranging from a group of five birders through meteorologists and a geomorphologist to the back-up team needed on a trip of this extreme nature. Whilst they will not be expected to survive on Trafalgar era salted beef and verminous hardtack, in the spirit of nautical history they will be taking a supply of heavily hopped craft beer. Boston Breweries, one of Cape Town’s most prestigious craft breweries, recently launched their Rock Hoppa beer, named for both the eponymous Rockhopper penguin and the hops that give it its delicious flavour. Boston Breweries then approached SANCCOB, the Southern African Foundation for the Conservation of Coastal Birds, with a funding idea, and have subsequently entered a partnership: for every bottle of Rock Hoppa that is sold, SANCCOB benefit to the tune of R1. SANCCOB introduced the Boston team to Rocky, their delightful resident Northern Rockhopper penguin, and she was immediately given the honorary title of Rock Hoppa Brand Manager, and by all accounts is acquitting herself admirably. 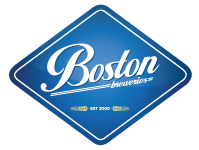 Boston Breweries are proud to be part of this expedition. Chris Barnard, Managing Director of Boston, has a passion for conservation and as a long-distance swimmer is particularly drawn to the sea. In partnering with SANCCOB, Boston Breweries is already making a difference to the lives of threatened seabirds. Through the Marion Island expedition, he and Jacqui are convinced that the part Rock Hoppa beers will play to keep the team’s spirits up will be of great benefit; not only to support the after-hours social life, but in so doing assisting the crucial studies that will affect the wildlife of Marion Island, and in fact the Southern Hemisphere. Rock Hoppers, Rock Hoppas and conservationists make for a powerful mix; support for one is support for all, and with it a more secure environment for future generations to marvel at.